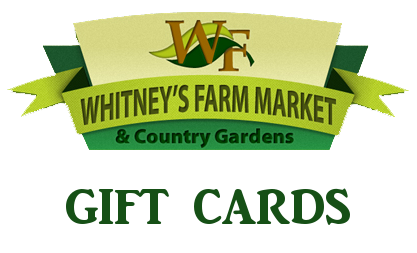 Buy Gift Cards online from Whitney’s Farms Market & Country Garden and send it to a loved one or friend. Gift card orders are processed on the next business day. If you need assistance sooner call the farm market at 413-442-4749.